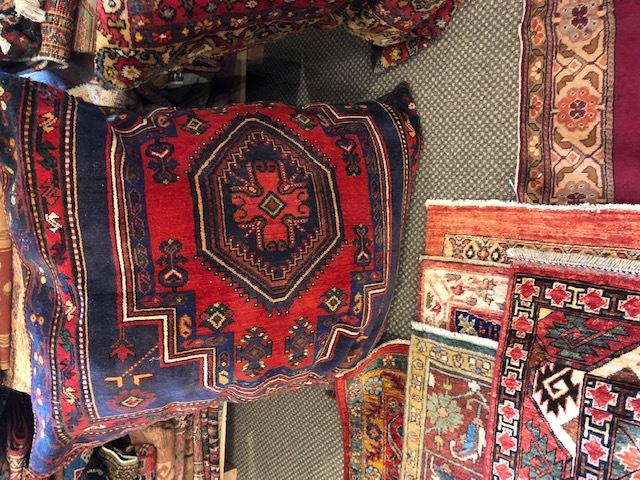 This huge pillow cover is cut from an antique Turkish Rug. red an blue background with lots of geometric variation. A unique and fun way to bring the tradition of handwoven rug into your home. This pillow cover is sold STUFFED OR unstuffed. Free shipping in the U.S. from Pasha Rugs.